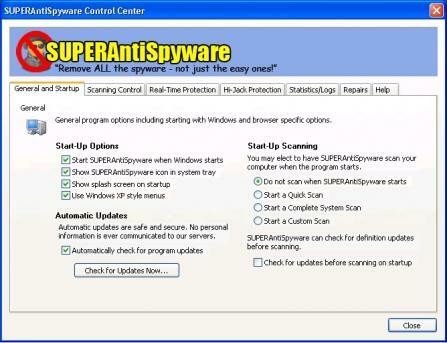 SUPERAntiSpyware is a leading software solution that protects computers against all kinds of spyware. This download contains the latest database definitions for both Free and Professional editions. It is recommended you install the newest definition updates to ensure complete protection for your computer against new kinds of spyware components. SUPERAntiSpyware includes advanced process interrogation technology and multi-dimensional scanning so it can detect spyware that other security applications cannot.